Now you can express your love in Spanish. Our best love poem has been translated so that you can let your husband, wife, boyfriend or girlfriend know how much you love him or her. Perfect as an anniversary or birthday gift, etc. If you would like the following personalization in Spanish please type it that way (we do not translate). The Spanish and English translations of the poem are in the Description tab below. Need a birthday or anniversary gift idea for your spouse, boyfriend or girlfriend? 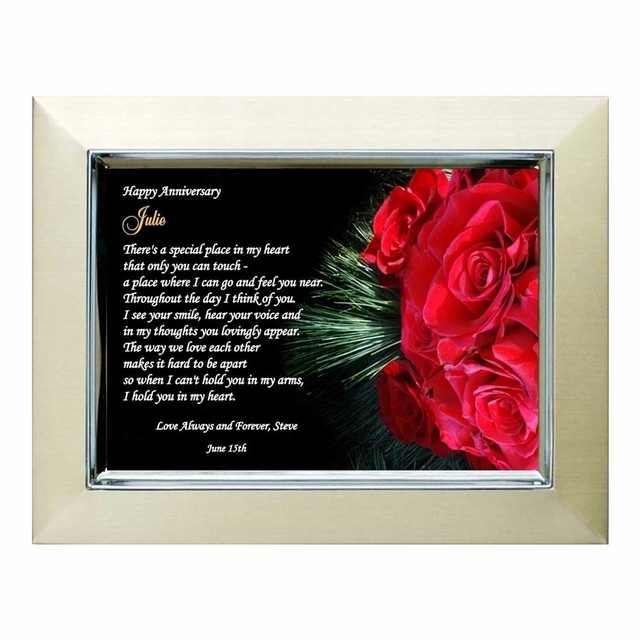 This striking Poetry Gift in an attractive gold and silver metallic frame is just the keepsake to show much you love him or her. Below you will find the English and Spanish translation of the framed love poem. 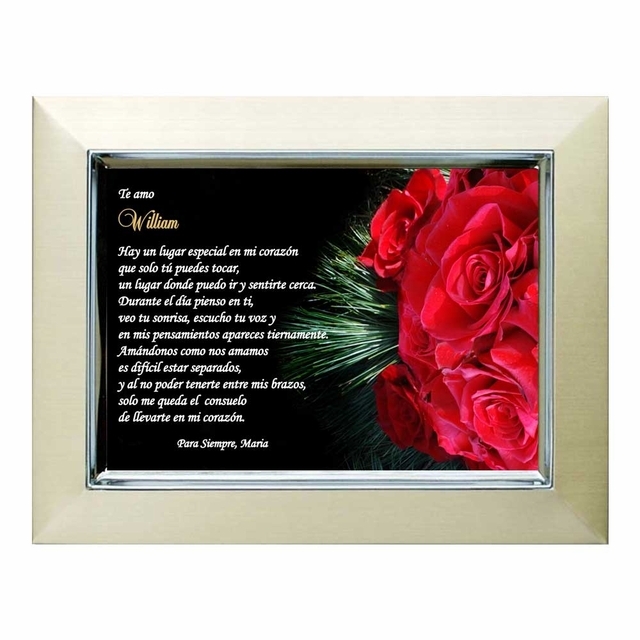 This Poetry Gift comes in a 5" x 7" gold metallic frame with a small silver border surrounding the poem insert. The frame has a stand-up easel back or it can also be hung on a wall. un lugar donde puedo ir y sentirte cerca. en mis pensamientos apareces tiernamente. de llevarte en mi corazón.